With ivy, rosemary, sage and Chinese rose extract. An excellent preparation for preventing acute cellulitis, caused by an accumulation of fat in muscle tissue, which can eventually lead into vein compression. 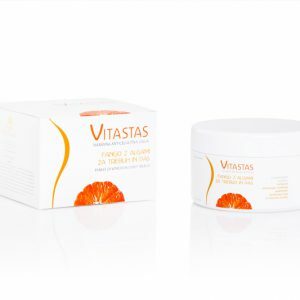 Vitastas has a peeling effect, which smoothens skin imperfections and prepares the skin for active substances. Its high algae content increases removal of residual substances and improves micro circulation. Mix well, then apply to desired body part (thighs, hips, buttocks). For maximum effect, wrap a piece of plastic foil around the mud and wait from 30 to 45. Remove mud with water. After each application, use a firming cream to further increase the effect. 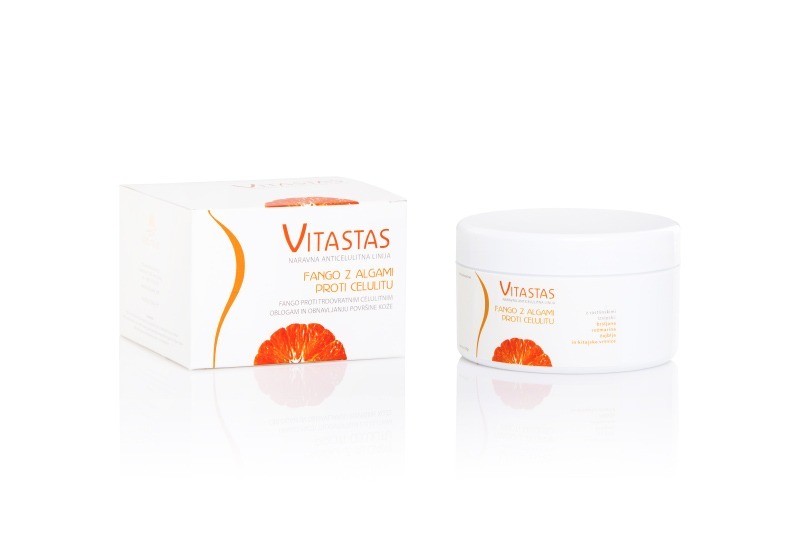 Water, solum fullonum, propylene glycol, glycerin, centella asiatica extract, hedera helix leaf extract, origanum vulgare flower extract, imperata cylindrica root extract, PEG-8, origanum vulgare oil, salvia officinalis oil, carbomer, phenoxyethanol, escin, caffeine, algin, potassium sorbate, sodium benzoate.